One of the staples not only of horror cinema, but of pop culture in general is Doctor Frankenstein and his monster. With the latest film to feature the creature, I, Frankenstein, hitting theaters today, we thought we'd bring our "Origins & Evolutions" series over to our sister site Shock Till You Drop and have a look at the history of the creature. While we can't hit every single iteration of the monster, which IMDb puts at over 200 appearances, we've done our best to hit all the highlights. 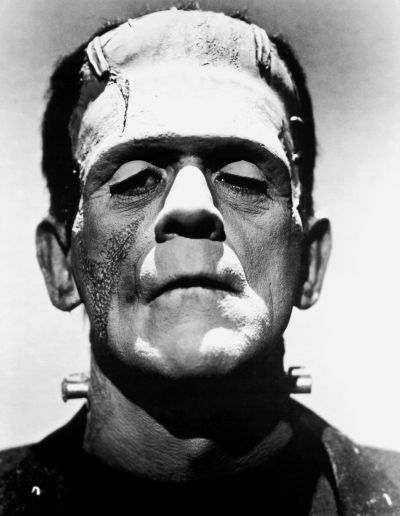 In the gallery you can peruse the life of Frankenstein's monster which spans nearly 200 years. Don't miss our previous "Origins and Evolutions" which cover topics such as the Green Goblin, Rhino, the X-Men's Sentinels, and Tom Clancy's Jack Ryan.